Trustees’ column: Where does responsibility lie? In his column in the April issue of Alliance, Rien van Gendt writes: ‘The main point I want to make is that Boards should realize that governance is not restricted to a foundation’s spending but also includes its investments.’ I couldn’t agree with him more. Under US law, foundation trustees owe a fiduciary duty to the institutions they lead. This duty requires a trustee to manage the foundation’s business with care and diligence to a ‘reasonably prudent person’ standard. The meaning of reasonable care is appropriately the subject of growing attention. A trustee’s duty of care historically focused on safeguarding and growing a foundation’s assets – little thought was given to the impact of investment decisions. Regulation categorically prohibiting some investments as too risky continued even after the landmark 1830 decision that established the prudent investor rule. Today, of course, fiduciaries regularly and prudently approve investments in private equities, venture capital and hedge funds. The definition of reasonable risk has evolved and is now taking a new turn. The hot topic for foundation trustees is the extent to which fiduciary duty obligates them to analyse the mission alignment of an investment choice as well as its financial risk and potential return. Foundations receive favourable tax treatment because they do charitable work. That tax treatment extends to all foundation assets, not just those disbursed as grants. Consequently, there is an emerging belief that a prudent fiduciary should consider the social impact of all investment decisions and favour those that are mission-aligned. 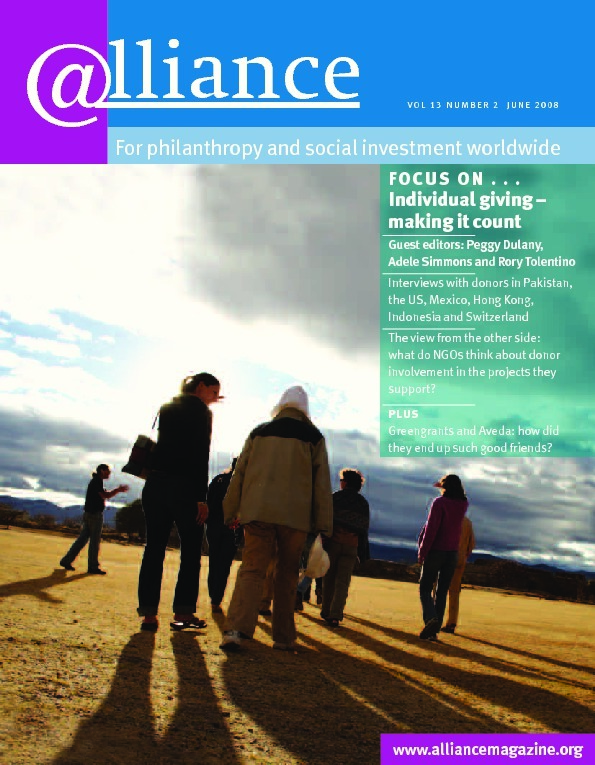 This discipline, known as ‘mission-related investing’ or ‘MRI’, came to the fore only about a year and a half ago when a Los Angeles Times article (8 January 2007) identified some of the Bill & Melinda Gates Foundation investments as running counter to some of their global health programmes. But it’s not just the Gates Foundation: many foundations would likely find this sort of conflict if they started to look at their investments closely. In my view, the notion of fiduciary duty for trustees will likely evolve relatively quickly. A prudent fiduciary will ultimately choose to analyse not just risk and return but how an investment aligns with the foundation’s mission and values. Reasonable care will encompass not just risk but social impact. Pressure will come from a number of sides. It will come first from within foundations, from more enlightened staff and trustees. Public scrutiny will add momentum, whether it’s by the constituents who are served by a foundation or by the media – it’s already happening with college endowments. Where an investment directly undermines a foundation’s mission or runs counter to the founder’s intent, a state attorney general’s office may take legal action. At federal level, government is going to continue to scrutinize the independent sector in general and will probably attempt to regulate more tightly. They’ll likely be challenged to dictate how foundations should and shouldn’t invest their money, but government scrutiny will be another spotlight on foundation investments. Who will take the lead? While the ultimate decision to pursue an MRI strategy lies with the trustees, it’s the obligation of foundation officers as well. The CEO and the CIO carry the same fiduciary duty, the duty of loyalty and care, and they have a shared responsibility to educate and inform the trustees. As for the investment advisers and money managers, if they were being completely candid, they’d tell you, ‘we’d do this if there was enough demand, but we don’t think there is enough.’ Now that’s changing rapidly. That’s why we’ve seen changes in organizations like Cambridge Associates, which has just formed an MRI department. Cambridge are advisers to upwards of 80 per cent of US foundations, and highly respected, which means that other investment advisers and money managers are going to start to take this field seriously. The more enlightened will see it as an opportunity and start to pursue it more aggressively. So demand by trustees will drive investment advisers and money managers to find suitable MRI opportunities. Trustees now need to revisit their investment policies. There are some model MRI policies, and trustees should compare these with their existing investment guidelines and decide where they need to modify them in the spirit of furthering their mission by maximizing all of their foundation assets – corpus, payout and intellectual capacity. This is the new frontier for foundations. 1 Harvard College v Amory, 26 Mass. 446, 465 (1830). 2 With initial support from the Annie E Casey Foundation, the F B Heron Foundation and the Meyer Memorial Trust.